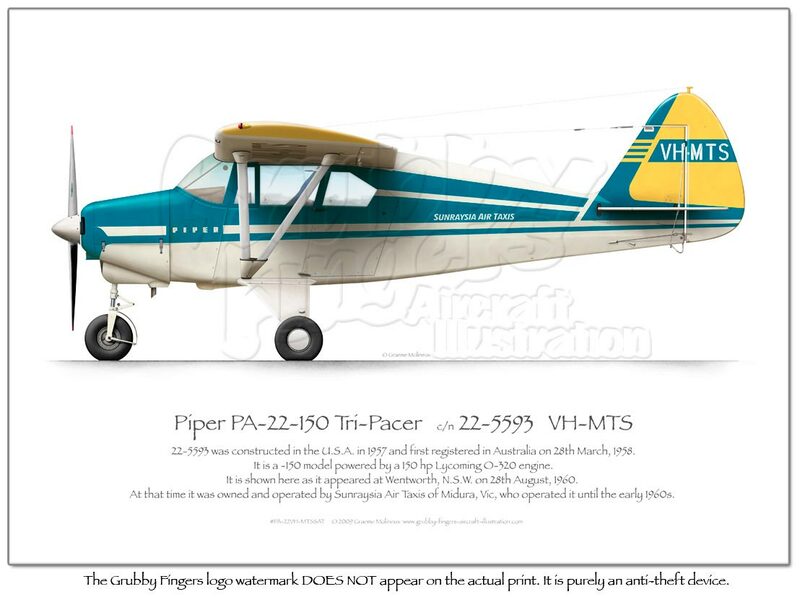 Here's a Piper classic: the PA-22 Trike. 22-5593 was constructed in the U.S.A. in 1957 and first registered in Australia on 28th March, 1958.It is a -150 model powered by a 150 hp Lycoming O-320 engine.It is shown here as it appeared at Wentworth, N.S.W. on 28th August, 1960. 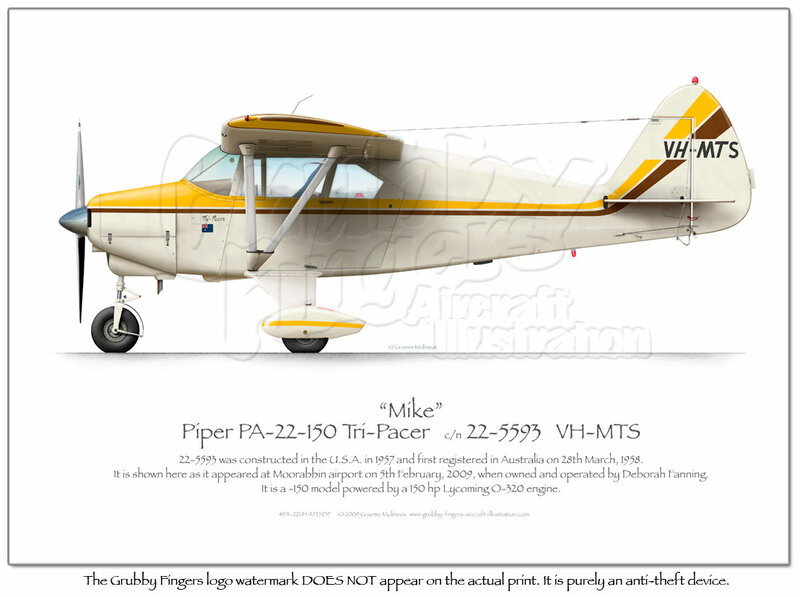 At that time it was owned and operated by Sunraysia Air Taxis of Midura, Vic, who operated it into the early 1960s. This print is available through the shop. 22-5593 was constructed in the U.S.A. in 1957 and first registered in Australia on 28th March, 1958.It is shown here as it appeared at Moorabbin airport on 5th February, 2009.It is a -150 model powered by a 150 hp Lycoming O-320 engine.